Kalawa Jazmee artist, Candy Tsamandebele recently spoke to us about her latest single Siku Ne Siku. The boisterous artist was at the Kalawa Jazmee artist showcase and she performed the single along with Nonny D, who is also featured on it. Siku Ne Siku dropped in Marc of this year and was produced by Nigerian producer, Dr Frank. The song is about two lovers who were once together but broke up because the male partner moved on with a new lover. 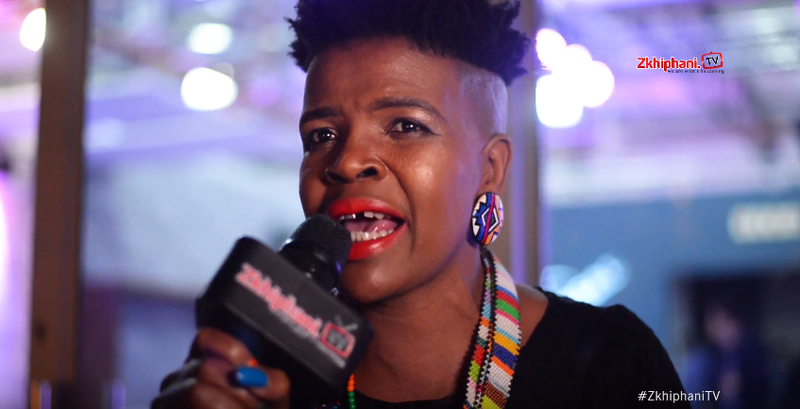 Candy describes Siku Ne Siku as being an “indigenous Afro-Soul and tribal house”. Siku Ne Siku means day by day. The song is a beautiful example of how taking things day by day could either be helpful or hurtful. She revealed that she is working on her album which is set to carry the same sound scope of Siku Ne Siku.. She also mentioned that the video for the song is already shot but she didn’t elaborate on when it will drop.